The secret to having a successful freelancing career to one that flunks and leads to you going back to a regular job is if you know you are ready to take such a leap. Switching careers already is hard enough, more so if you plan to switch to a career not known for financial stability, especially for those new to it. Thus, you may even hesitate and not pull through with your plan to switch careers, and this is understandable, people get “cold feet” more common than you realize. Fortunately, getting to know when you are ready to take such a leap or not is not hard. While the fact that most people tend decide based on impulse or simply just because of a few events in their life that made them of quitting their regular jobs and going freelance exist and this may scare you, most of them eventually fail in their newly chosen career path, and for good reason, they were not ready. So, how exactly do you know when you are ready? A freelancing career is not for the faint-hearted. While you have the freedom to work anytime and anywhere you want, there are times wherein you may be logging more hours freelancing than you did in your regular job. 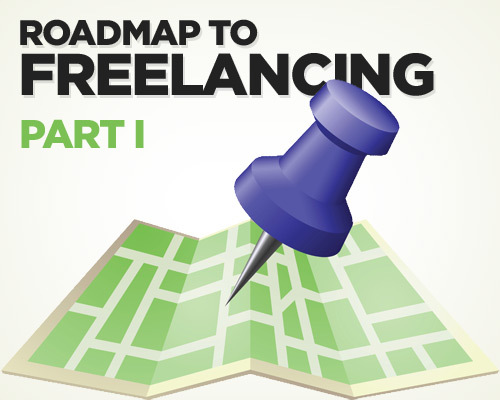 Most people do not know about this, and they eventually fail, especially since they believe that a freelancing career is a cakewalk. Freelancing is not easy. Start-up is hard and an excruciatingly long process. It takes weeks and even months for a freelancing career to start becoming profitable, or at least, become as profitable as a regular job. Depending on your skill set, the duration may vary. However, it is safe to assume that success in freelancing does not happen overnight. In fact, it is best that during your off-days while you are still working regularly, you try to do some freelance work just to get to know what it is like. This way, you have an idea what it is like to be a freelancer. Working on a few projects should give you a clear idea if you are cut out for a freelancing career or not. To have a successful freelancing career, one must be constantly adapting to the trends of the market and this means that a freelancer must always improve his or her skill sets. While this type of pacing appeals to some people, there are those that find the lack of stability too much of a risk for them to even consider thinking. Thus, freelancing is not everybody. It is only for those that have an open mind. It is best for those that know that making a few wrong decisions and not being prepared will lead to a downward spiral that will eventually lead to an individual looking for the higher chances of financial stability and security that a conventional desk job offers. Onlinecoursesaustralia.edu.au offers freelancers a chance to improve their skills by taking up online courses that allow them to study on their own pace. Short courses offered online such as those found in http://www.onlinecoursesaustralia.edu.au/courses/short-courses.aspx may prove useful for freelancers.